Android TV box AREA A95X Plus with reed processor and DDR4 memory. Perfect media player for the home that plays content in razor-sharp 4K resolution. Android TV box with reed processor and fast DDR4 memory. Here you have a really good media player that plays content in up to knife-sharp 4K UHD resolution. 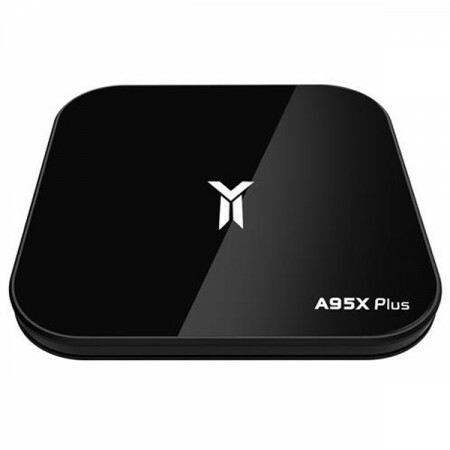 Area A95X Plus Android TV is packed with the latest technology and will not disappoint you. Play 4K content on your 4K compatible TV and watch an image that is a delight to the eye. Inside, the unit has 4 GB of high-speed DDR4 memory and a powerful 4-core processor for playback on 4K UltraHD. The network connects to this Android box with WiFI and it supports a traditional 2.4 GHz connection as well as a 5 GHz connection. With the Android 8.1 operating system, you can download your favorite apps directly from the Google Play store and the storage space is well-stocked with 32 GB. Languages: Finnish, English, Swedish, etc. https://www.e-ville.com/en/1034-android-tv/31790-area-a95x-plus-4k-uhd-android-tv-box-mediaplayer.html 31790 AREA A95X Plus 4K UHD Android TV box http://www.e-ville.com/img/p/31790-160520-fb.jpg 69.95 GBP InStock /TV ja kotiviihde/Android TV /TV ja kotiviihde Android TV box AREA A95X Plus with reed processor and DDR4 memory. Perfect media player for the home that plays content in razor-sharp 4K resolution.